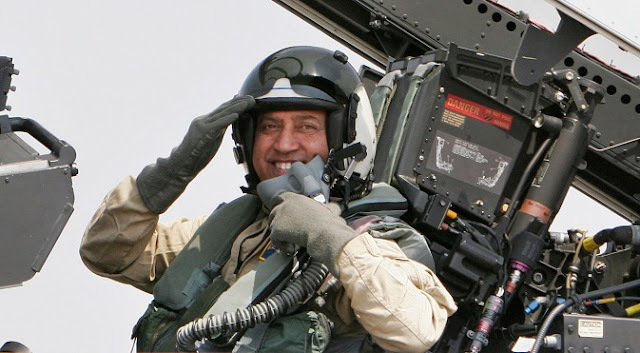 "Sampath Speaking" - the thoughts of an Insurer from Thiruvallikkeni: first man in space; first Indian in space .... and the first animal in space !!! first man in space; first Indian in space .... and the first animal in space !!! If you remember Kapil Devils winning Prudential World Cup 1983, you might also remember 2nd Apr 1984 or the event or - Rakesh Sharma, former Indian Air Force pilot who flew aboard Soyuz T-11, becoming the first Indian in space. 3rd Nov ~ in some ways should make us remember a stray dog that earlier wandered on the streets of Moscow before human interests took it over. As US scientists used monkeys, Soviet scientists were inclined towards Moscow strays since they assumed that such animals had already learned to endure conditions of extreme cold and hunger ! this one had no home, strayed on the streets later to have a coffin in space for a while !! Before reading that – a simple man, a son of a carpenter born in the village of Klushino in Smolensk, Russia in 1934 was to attain great fame. At 16, he moved to Moscow to apprentice as a foundry man in a metal works, but soon transferred to a technical school in Saratov. There, Gagarin joined a flying club and took to the skies for the first time. The first human spaceflight was launched by the Soviet Union on 12 April 1961 as a part of the Vostok program, with cosmonaut Yuri Gagarin aboard. Humans have been continuously present in space for 16 years and 360 days on the International Space Station. All early human spaceflight was crewed, where at least some of the passengers acted to carry out tasks of piloting or operating the spacecraft. After 2015, several human-capable spacecraft are being explicitly designed with the ability to operate autonomously. The first man on space - Yuri Alekseyevich Gagarin was a Soviet pilot and cosmonaut. He was the first human to journey into outer space, when his Vostok spacecraft completed an orbit of the Earth on 12 April 1961. Gagarin became an international celebrity, and was awarded many medals and titles, including Hero of the Soviet Union, the nation's highest honour. Vostok 1 marked his only spaceflight, but he served as backup crew to the Soyuz 1 mission .. .. Gagarin became an international celebrity, toured the world and was showered with honors by his country. Krushchev’s government awarded him the Order of Lenin, and named him a Hero of the Soviet Union. Gagarin’s triumph was a painful blow to the United States, which had scheduled its first space flight for May 1961. A few years later in Mar 1968, Gagarin was killed when a two-seater MiG-15 fighter jet he was flying with Vladimir Seryogin, crashed outside a small town near Moscow during a routine training flight. An official investigation into the accident concluded that Gagarin swerved to avoid a foreign object—such as a bird or weather balloon—sending the plane into a tailspin that ended with its crash into the ground. Many would not buy this theory and History.com was to state that when the papers were declassified, truth did come out. In 2013, Leonov announced on the Russia Today TV network that another report on the crash, recently declassified, confirmed the real story: A second plane being tested that day, an Su-15 jet, mistakenly flew far lower than its planned altitude of 33,000 feet, instead passing close to where Gagarin’s plane had been flying, around 2,000 feet. So it was more of an accident ! Now back to that stray dog named ‘Laika’ which too ventured into space but not a landmark event for thyself – but was confused and afraid of the happenings around. Its masters were to celebrate its voyage into Earth’s orbit as a landmark moment in human history. For Laika, the dog, those last weeks of her life were a terrifying and heartbreaking ordeal. Laika became one of the first animals in space, and the first animal to orbit the Earth. 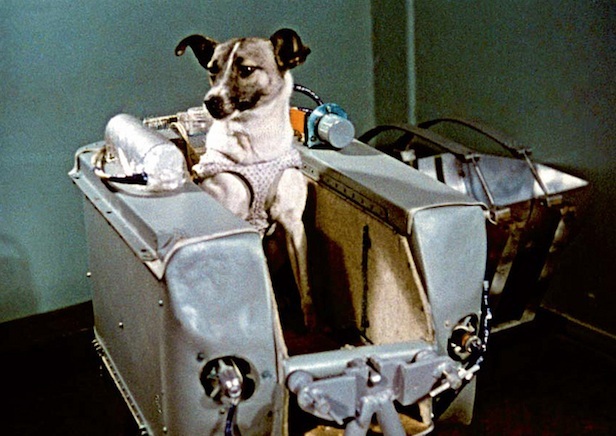 The street dog of Moscow had been selected to be the occupant of the Soviet spacecraft Sputnik 2 that was launched into outer space on November 3, 1957. Little was known about the impact of spaceflight on living creatures at the time of Laika's mission, and the technology to de-orbit had not yet been developed, so Laika's survival was never expected. Some scientists believed humans would be unable to survive the launch or the conditions of outer space, so engineers viewed flights by animals as a necessary precursor to human missions. Laika, sadly died within hours from overheating, possibly caused by a failure of the central R-7 sustainer to separate from the payload. The true cause and time of her death were not made public until 2002; instead, it was widely reported that she died when her oxygen ran out on day six or, as the Soviet government initially claimed, she was euthanised prior to oxygen depletion. Some maintain that Laika’s death was avoidable. In the original plan, Laika was to come home. However, Khrushchev viewed Laika’s journey as a piece of propaganda, and he wanted it timed to perfection. He wanted Sputnik 2 to blast off on the 40th Anniversary of the Bolshevik Revolution, and he ordered the scientists to rush the job so he could get the date right. The scientists now had four weeks to make the first spacecraft capable of sending a living thing into orbit. It was enough time to do it, but not enough to make one that could come back. After five months and 2,570 orbits around the Earth, the satellite that had become Laika’s coffin fell down to the Earth. It streaked across the sky while people around the world watched, creating a small panic in the United States. The blast off, orbit or return – nothing was significant for the poor animal, though it was a remarkable event for humans !